Want to own a piece of The Hunger Games? Lionsgate announces the World of The Hunger Games Auction, with almost 500 authentic items from the franchise up for grabs. Get more details below! Tributes, I don’t know about you, but I’m NOT ready to let go of The Hunger Games! Sure, Mockingjay Part 2 is out on blu-ray/DVD now, and thanks to the 4-film collection, we can binge watch this awesome series and get even more behind-the-scenes goodies Even still, wouldn’t it be nice to have another piece of this franchise we love so much? Well, today Lionsgate made a huge announcement about a unique opportunity for THG fans! They’re partnering with the auction house Profiles in History to hold The World of The Hunger Games Auction. 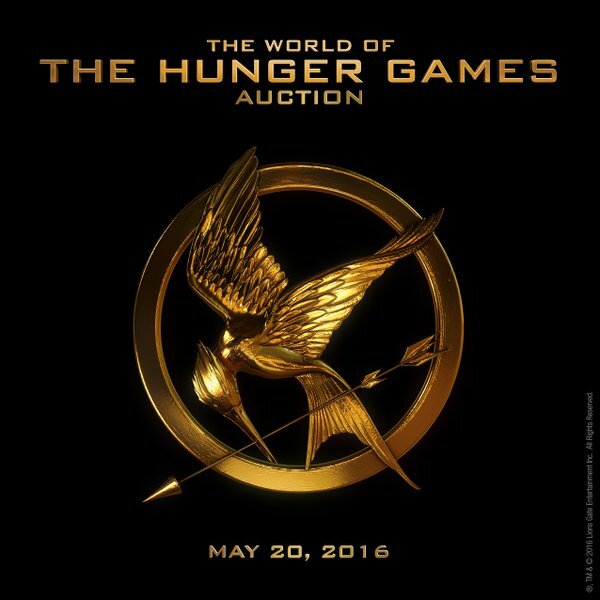 On May 20, 2016, for ONE DAY ONLY, fans will have the opportunity to bid and purchase almost 500 authentic costumes, props, and set pieces from The Hunger Games, Catching Fire, and Mockingjay Part 1 & Part 2. For more information, including the full catalog of items and the process to register for the auction, head over to http://thehungergamesauction.com ASAP. I’ll definitely be taking a look at the items and putting my bid in! What items are you most interest in? Share your thoughts in comments!